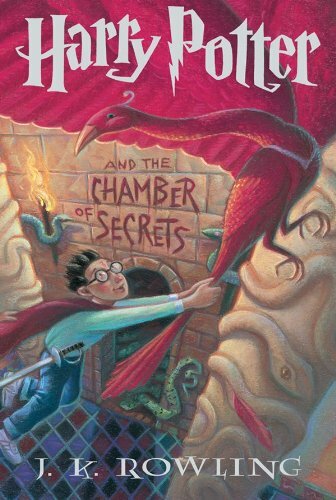 bennettgavrish (Grade: B–) "The Chamber of Secrets" is not a particularly bright spot in the series. It follows almost the exact formula of "The Sorcerer's Stone," but the pacing of the story is slightly off and the dramatic revelations feel rather clunky. Also, Rowling makes the frustrating decision to introduce the character of Gilderoy Lockhart, whose annoying behavior serves no purpose in the plot and doesn't elicit enough laughs. RemusLupin (Grade: B) Definitely not my favorite Harry Potter book, but in hindsight, a lot of important plotlines and characters are introduced that are vital to the conclusion of the series. kynswain (Grade: A+) I couldn't put it down, it made me smile, cry and couldn't wait to read the next one! underdog92 (Grade: A–) This was a good story. I enjoyed reading about the discoveries that Ron, Harry and Hermione went through to finally discover this forgotten chamber in Hogwarts. dougcornelius (Grade: B) This was my second time reading this book, this time as a bedtime book with The Son. He liked it and asked for next book so I think he really liked it.